The No. 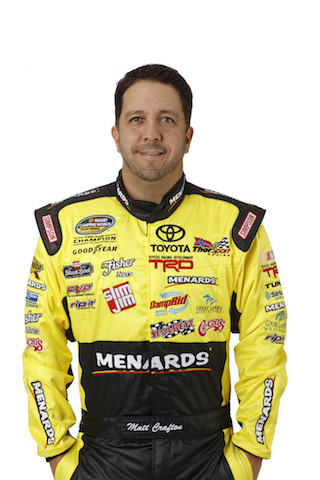 88 Ideal Door/Menards Toyota Tundra driver started 10th and finished seventh in Saturday’s Alpha Energy Solutions 250 at Martinsville (Va.) Speedway. Making his 29th career start at the “paperclip,” the two-time Martinsville Speedway winner complained of losing lateral grip on the throttle in the early running of the event, but maintained a position inside the top-10, running as high as second. Opting to stay out under the second caution of the event, when most of the front runners pitted for tires, Crafton lost ground during the ensuing long green-flag run, and was scored 12th when the yellow flag flew at lap 135. Crew chief Carl “Junior” Joiner brought the No. 88 machine to pit road for four tires and fuel under the caution. Restarting 16th, Crafton once again worked his way into the top-two before coming to pit road for the final time on lap 201 for a scheduled stop. Restarting 17th, with less than 50 laps remaining, Crafton was able to stay out of trouble through the final five caution periods, which also included two red flags, but a lack of green-flag racing hindered the two-time champion’s chance to race for the win, finishing seventh in the race extended 255-lap event. The top-10 result was Crafton’s 17th top-10 finish at the .529-mile track.